chain, take the chance and arrange a meeting with Floriane Crickx at SIL Barcelona. She is our Regional Sales Director based in Barcelona and takes care of customer needs from Southern Europe. Miss Crickx would be happy to demonstrate all your benefits while working with our product “Container Track & Trace” like getting neutral, unbiased and exclusive data which is aggregated and consolidated on a unique platform. This way you can be trusted to provide timely, real-time data analysis which is easy to understand. Thereby, you can provide excellent customer service. Take this opportunity to discover how our products will help you to enhance the efficiency of your operations further. 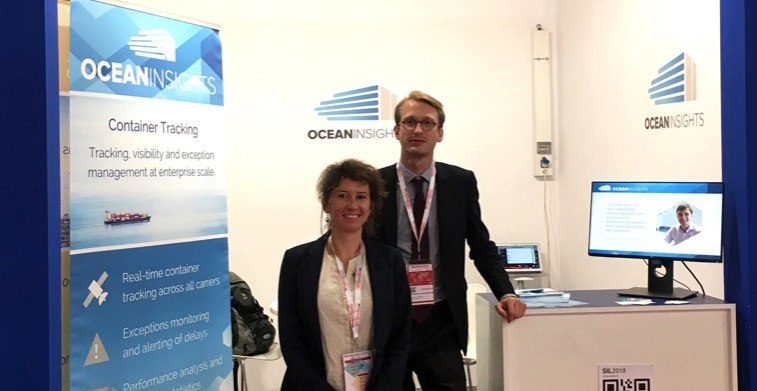 If you can’t arrange a meeting with our representatives at the fair, make sure to meet Ocean Insights at the following conference: TPM in Hamburg, Germany: September 18 – 20, 2018.